The Great Barrier Reef in Queensland Australia is the world’s largest known coral reef and home to 400 different types of coral, 1500 species of tropical fish, 200 types of birds, 20 types of reptiles, mollusks, coral sponges, rays, dolphins, and sea turtles and giant clams over 120 years old. The reef consists of 1,600 miles of 2,900 separate reefs with 900 different islands. The large green turtle and the dugong (nicknamed the “sea cow”) are two of many endangered species who find their homes in the reef. It is larger than the Great Wall of China, and the only living thing on Earth visible from space. 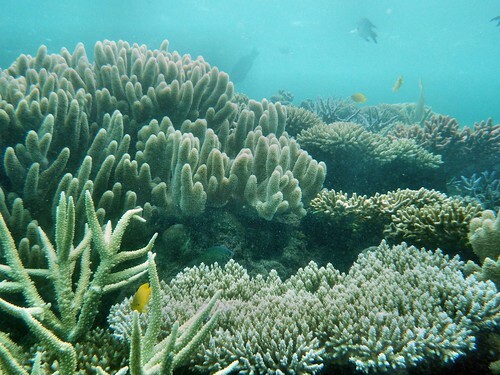 Also, the reef is part of the Seven Natural Wonders of the World and has been proclaimed a World Heritage Site by the United Nations Educational, Scientific and Cultural Organization (UNESCO) which encourages the protection and conservation of natural habitats around the world. Due to the plethora of species and size of the habitat, it’s biodiversity and complex ecosystem is unparalleled by the rest of the world. 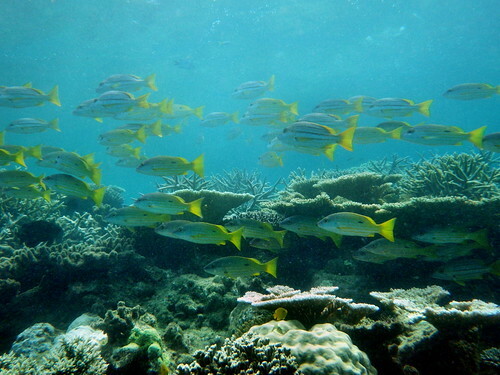 However, UNESCO has put the Reef on a list for removal of it’s World Heritage status, citing that there has been little efforts by the Australian government and surrounding communities to protect the reef. This decision has come as a bit of a shock to the Australian Government, as marine life and ocean ecosystems are largely unprotected as compared to land ecosystems. Also, due to over-fishing, coastal development, global warming, and pollution, the oceans and their precious ecosystems are already at risk for decline and extinction. Overall, due to the biodiversity and grandiose nature of the Great Barrier Reef, I personally believe that it should be preserved. We as a human race know more about the surface of Mars than we do of our own oceans, and reef exploration gives insight to the wonderful world of the Pacific Ocean. If left unprotected by a large organization like UNESCO, there is a large possibility that coastal development and other human-inflicted problems will cause a decline of the reef’s physical appearance and the endangerment of hundreds of species. The decision to kick the Great Barrier Reef off the World Heritage Site list, which would cut funding, emergency assistance and preservation of the area, is still underway. The Australian Government is working overtime to create conservation plans and discourage dredging and coastal development in order to keep the World Heritage listing. The Queensland area has until 2014 to prove to UNESCO that they are dedicated to the conservation and protection of the reef, or else the reef will be on it’s own and unprotected.